Now I am not from Texas. I am from an island in the north where portions are generous and food is delicious so at least I have that in common with Texans. 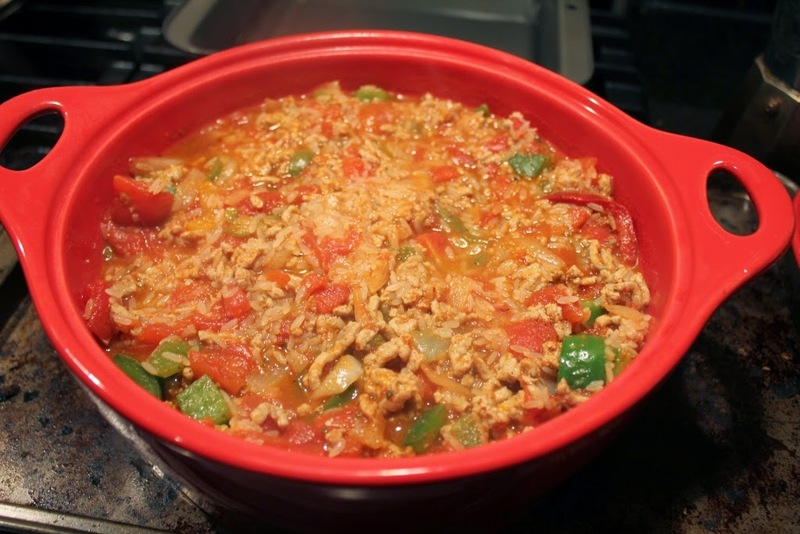 This is a much loved, much written about recipe that is perfect for families, perfect for those who want good nutrition on a modest budget and thankfully the taste improves the next day (if you have leftovers)! 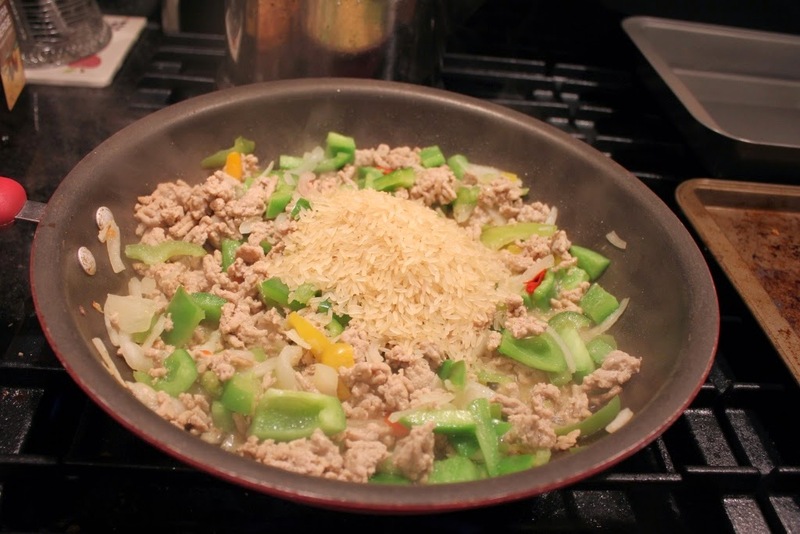 Cook the ground turkey in a skillet, season with salt and pepper. As you know turkey typically can stand a bit of seasoning. If you see an excess of drippings (aka fat) in the skillet then drain the meat before adding back to the pan. Add the onion and saute until they are soft. 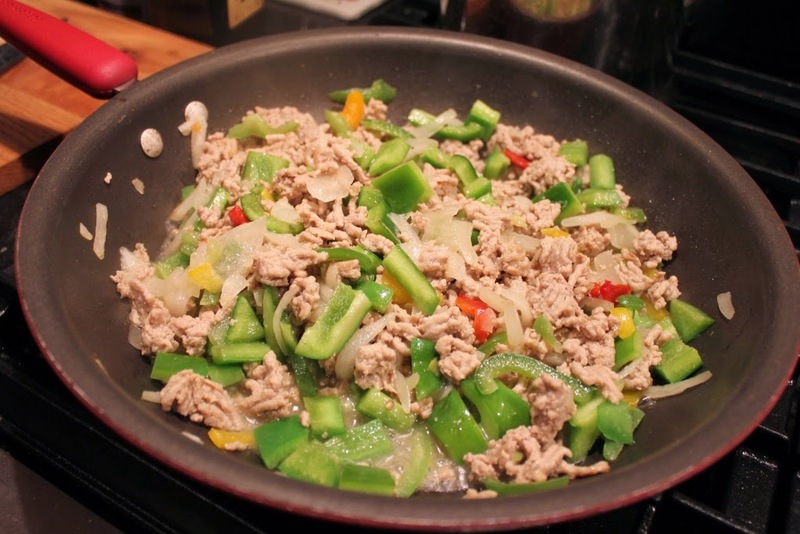 Add the diced green pepper and fry for an additional 2 to 3 minutes. 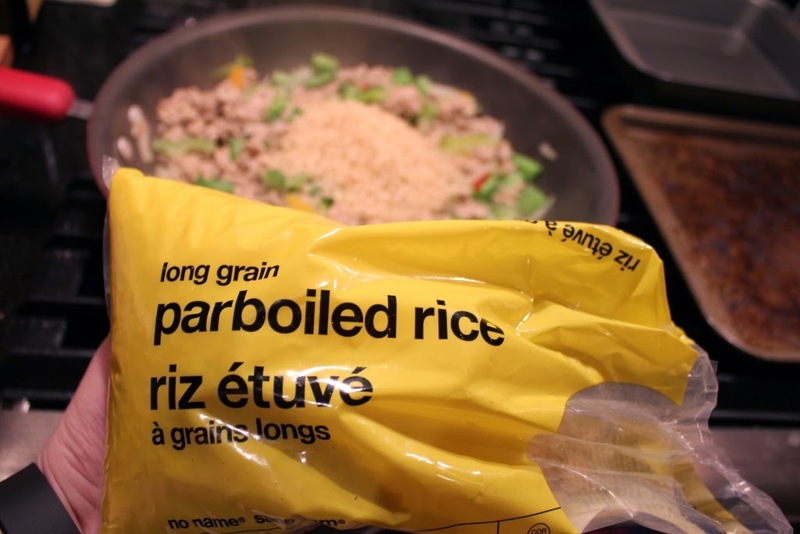 Add the long grain rice. Add the Chili powder. If you like a spicy mixture add as much as you like. Add tabasco, chipolte... 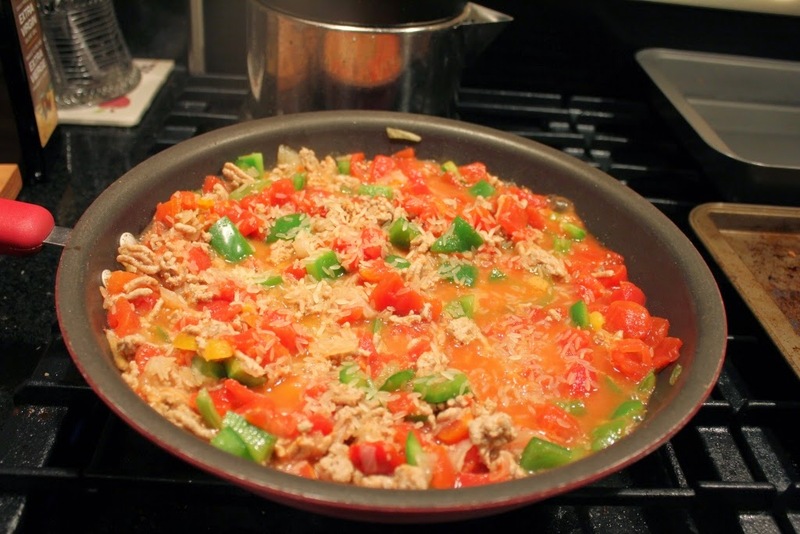 Anything that you would typically put in a Tex Mex dish. 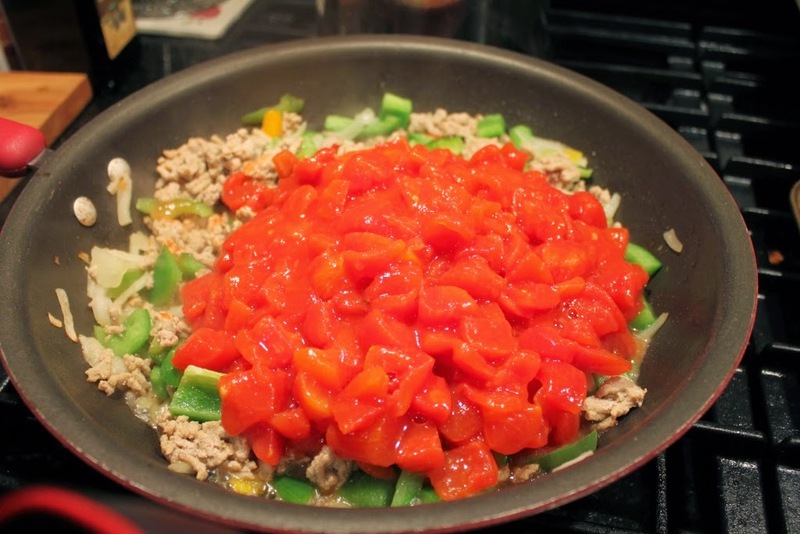 Mix the ingredients and let it simmer for about 10 minutes. 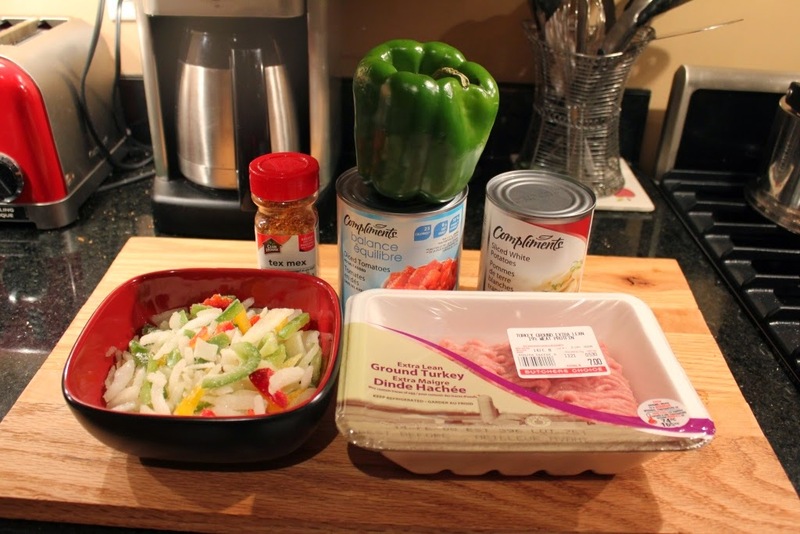 Transfer ingredients to an oval casserole dish. Place dish on any old cookie sheet (in case of spill over). 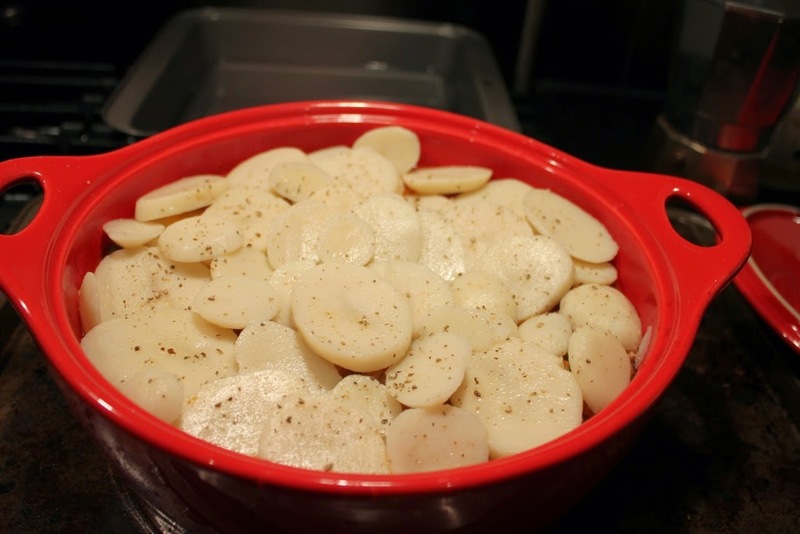 Layer the sliced potatoes on top of the mixture. 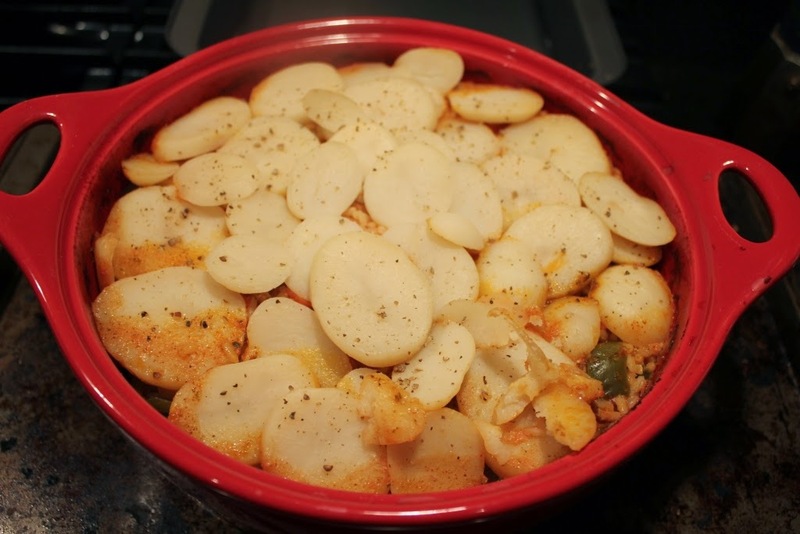 Shake pepper on the potatoes. Cover the dish and place into heated oven. Let it bake for about and hour. 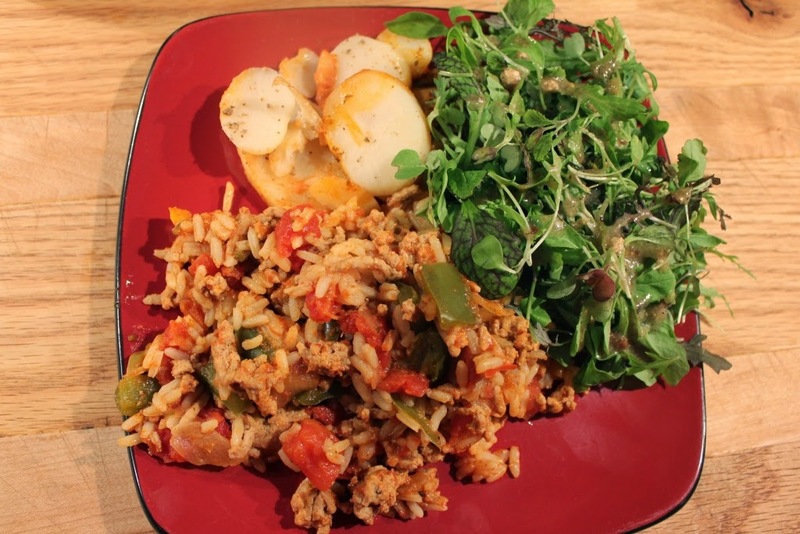 Adding some salad to this meal makes for a delicious, nutritious plate of grub (that's my accent creeping out)!